The used 2004 Honda Trx300ex7 for Sale that you are going to want to see because it's cheap! 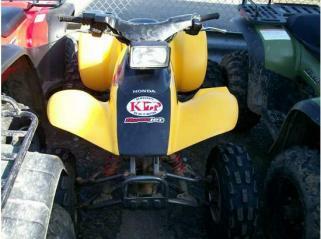 This is your chance to pick up a great used Honda ATV for Sale for a very affordable price! If you're interested you may leave your questions and contact information in the space below provided by Strike Lightning Used ATV for Sale for your convenience and the owner will get back with you as soon as possible. Strike Lightning would also encourage bikers to submit a review of the 2004 Honda Trx300ex7 for Sale to help potential buyers make informed decisions and to benefit the biker community as a whole. My asking price is a super cheap $2699 for the Honda four wheeler.